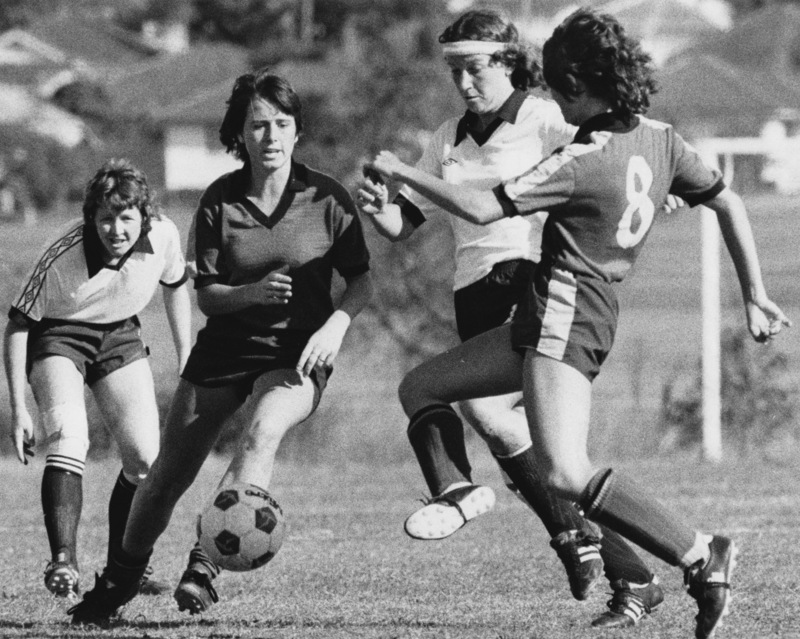 With World Cup fever gripping soccer fans, a QUT researcher is looking for contributions to a community engagement project capturing the incredible, and lengthy, history of the women’s game in Brisbane and Queensland. From the first public match at The Gabba in 1921, before a crowd of 10,000, to the first Matildas and our current local stars, Dr Lee McGowan is building a substantial archive to highlight the women’s game’s rich heritage. With World Cup fever gripping soccer fans, a QUT researcher is looking for contributions to a community engagement project capturing the incredible, and lengthy, history of the women’s game in Brisbane and Queensland. 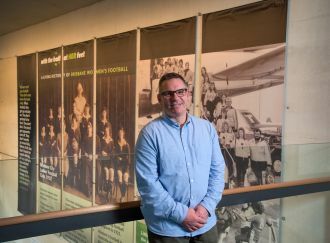 From the first public match at The Gabba in 1921, before a crowd of 10,000, to the first Matildas and our current local stars, Dr Lee McGowan is building a substantial archive to highlight the women’s game’s rich heritage. With funding from Brisbane City Council through the 2017 Lord Mayor’s Helen Taylor Research Award for Local History, and support from Football Queensland, State Library of Queensland, Kettle of Fish Design, the Queensland Football History Project, and the School of Creative Practice, in QUT’s Creative Industries Faculty, Dr McGowan has created www.withtheballatherfeet.com.au - a digital ‘living history’. The website highlights the stories and the people, the players, coaches and administrators, behind key matches, events and turning points. He now wants to extend the research beyond Brisbane to regional Queensland and is calling on the public to come forward with their stories and memorabilia. “Until now the history of women’s football in Australia has been hidden from all but those directly involved,” said Dr McGowan. “Football is the nation’s most popular game. More women and girls play football than netball in Australia. There’s also our extraordinary national team, The Matildas, who are more successful than the Socceroos. “I think we should celebrate the women who made it possible, the pioneers and the champions and those who gave so much of themselves and their time for the game they love. I have met with former and current players, coaches, fans and administrators. It would be brilliant if I could build on those stories. “Those trailblazers played under the most difficult circumstances. It is their shoulders the Brisbane Roar W League team stands on. “We know the first games were played in Brisbane in 1921. We know, too, that women were discouraged from playing, following the ban on women playing in 1921 in England and France. Dr McGowan has held public presentations and exhibitions at Brisbane City Council libraries and is looking for funding to take the project to regional Queensland. The exhibition can currently be viewed in QUT’s Kelvin Grove Library and the foyer of Z9 in the Creative Industries Precinct (corner of Musk Avenue and Kelvin Grove Road). “We’ve been very fortunate. The football community are extremely generous with their time, their material and exhibit pieces and their stories. Many of them are being exhibited and featured on the website – all sorts of things, from representative strips, calendars, match balls, medals, programs, photos – but the record is incomplete,” he said. Dr McGowan is also writing a book called, Football in Fiction, to be published in 2019 by Routledge. Visit www.withtheballatherfeet.com.au for more information and to contribute to the project. QUT is part of a national collaborative group of five major Australian universities that form the ATN (Australian Technology Network of Universities). QUT School of Creative Practice researcher Dr Lee McGowan is documenting the lengthy history of women's football in Queensland. Attribution: Anthony Weate/QUT Marketing & Communication. NOTE: High resolution files can only be downloaded here by registered journalists who are logged in.